Come to Daddy's and let our Naughty Girls Rock your World! Daddy's has some of the sexiest Ladies on the grid and they want to Rock YOU!Naughty Girls are strutting and grinding on the stage all for your Naughty Pleasure!DJ Daemon is here spinning a mix of all genres!Come play! Uber: http://maps.secondlife.com/secondlife/Pleasureland/228/157/26 Also Daddy's is hiring! Applications at the door! Sunday Funday Rocking you HARD at Daddy's Naughty Pleasures! Those of you who know me and my previous posts probably remember that I used to complain how the Art, Music and Photography section of these Forums is filled with self promoting posts that are nothing but advertisements. To be more specific, I am not sure how moderators allow people to advertise their magazines and make a new post for every new issue but it is what it is, let them be... 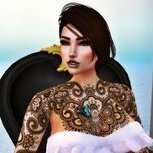 I am interested in everyone else who might still hang out around here and maybe would like to read something else, besides these ads Sooo, can you introduce yourself, what do you do in SL? Which form of art is your art, what you like best, what you dislike, do you have any special in-world places or artists that inspire you, are there any in-world places where we can see your work? Would you be interested in connecting with other Residents and participating in events? There is a thread here that showed we do have at least few members who are willing to speak about their work and I would be happy to read more! Whipped Wednesday w/ DJ Forever Vyper & Thandi @ R.I.S.K. Our special guest DJ is back. DJ Forever Vyper! She will be playing a mix of dance tunes to make your feet move and your hands shake! $500L of gift cards to Shade Designs for best in Whipped Wednesday. Dominants wear the whips and the submissives wear the marks!Join in on the fun and don't miss DJ Forever Vyper spin some tunes. She is not around as much anymore so don't miss this event!